WOW! Cheap flights to Uruguay: Montevideo for €392! UPDATE 4.4.2019: We have another sweet deal for you from Paris to Montevideo in Uruguay for only €392! 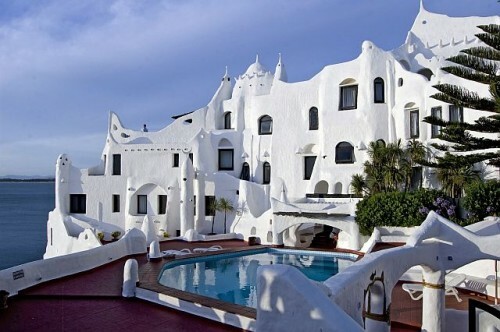 This is a very rare deal, there are just a few cheap fares to Uruguay each year. Very short transfers in Sao Paulo as well. Travel dates in May and November 2019 e.g. 8.5.-27.5., 9.5.-21.5., 16.5.-28.5., 10.9.-22.9., 13.9.-25.9. or 16.9.-28.9. BOOK NOW, check screenshot. Here’s pretty awesome deal for anyone interested in visiting Uruguay. 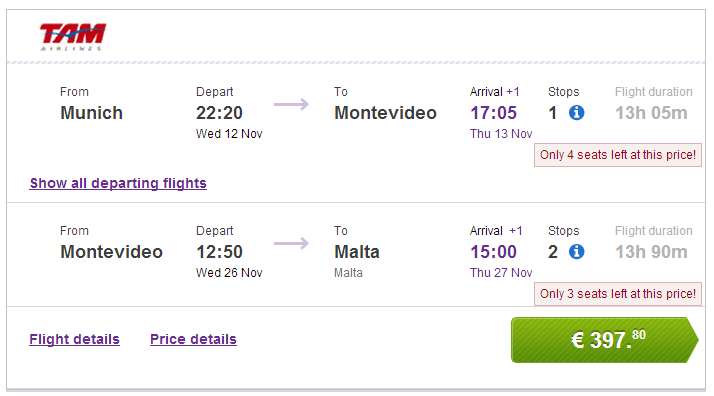 Multicity tickets Munich – Montevideo – Malta are now available for only €397! There are rarely any promotions to Uruguay and standard ticket prices are around €1000! You don’t have to board the last segment from Munich to Malta on your return if you travel only with cabin luggage! Book via BudgetAir (click on Show extra search options to enter return to Malta). Montevideo offers plenty of affordable accommodation options from cheap hostels to luxury hotel suites, so just compare the best deals with our hotel comparison page. « Cheap flights to Kenya: Mombasa for only €264!